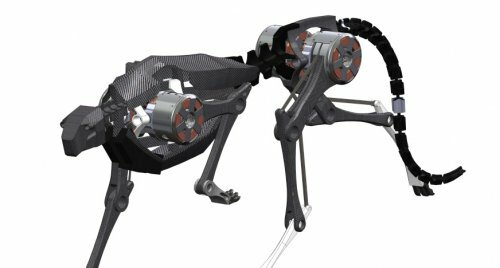 The latest robot MIT created is faster than any other robot ever built, and its authors call it a “cheetah” in reference to its speed. Of course, the robot weighting 70-pounds, looks nothing like a cheetah, but has abilities similar to a real cheetah. In the wild, a cheetah reaches top speeds of 60 miles per hour, giving it the reputation of the fastest animal on land. Like cheetahs, the robotic facsimile, jump over obstacles without losing its speed, and runs silently with amazing top speeds. The robot runs completely independent. Able to run for two hours without stopping, the intended mission for the robot is to track down humans in rescue missions following natural disasters. The robot makes the job of a rescue worker much easier, sometimes it can even replace the worker altogether. Powering the robot are several motors that create energy and distribute it efficiently. Engineers reproduced a movement algorithm allowing the robot to run at least 10 miles per hour. At the core of the performance is an increased ground force in the legs immediately they touch the ground. From this respect, the robot is similar to athletes that use the same running technique. Currently, the robot can only achieve 10 miles per hour in an obstacle course, but with existing room for improvement, engineers are confident the robot will run as fast as 30 miles per hour.